Our ‘WoodNature’ Timber-lookVenetian Blinds are another great choice for controlling light and privacy. Roman blinds are an ideal way to provide continuity when lowered, yet can be different enough to create a subtle, pleasing contrast when raised to allow uninterrupted views. 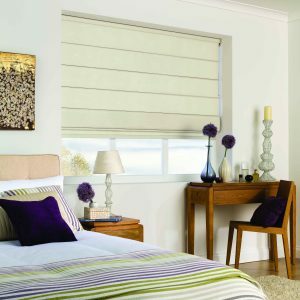 They are the perfect complement to the Panel Glide Blind ideal for any size window. 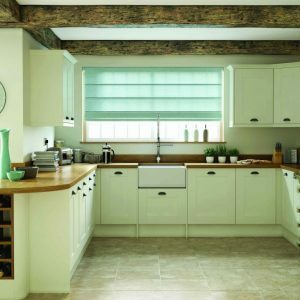 Our large Roman blind fabric and colour selection allows you to create a chic back drop to any room. With chain operated control systems and wooden batten or back extrusion options providing a tasteful interplay between textures.